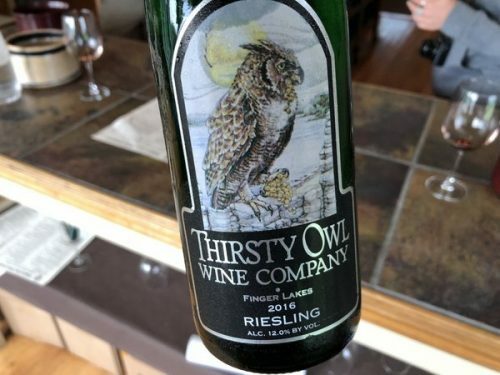 The origin of Thirsty Owl was 200 acres of land belonging to Bob and Mary Plane who were instrumental in pushing for the NY Farm Winery Act, which made it feasible for grape growers to open wineries back in the 1970s when the dominant big companies were dropping contracts. 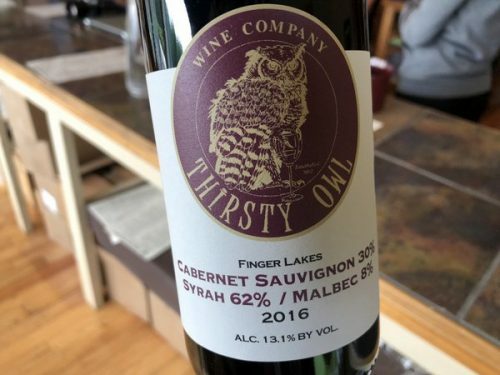 They were grape suppliers, and after the act passed they opened a winery called Plains Cayuga Winery, now known as Cayuga Ridge. Their children didn’t have much interest in this so they opted to sell. 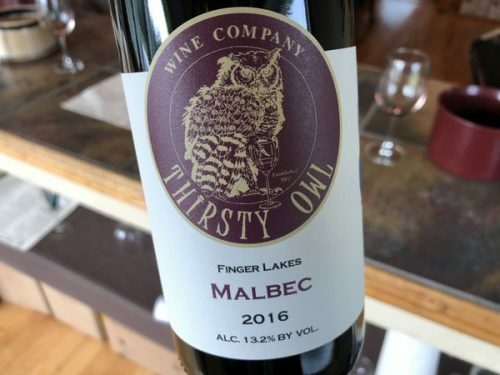 Someone purchased the winery which left 150 acres of unplanted land. In 2001 Ted Cupp purchased these 150 acres, with 300 feet of lake frontage on Cayuga Lake. The Cupp family started planting more vines – mainly vinifera. They now have 43 acres of vines. Production is now around 15 000 cases annually. They use predominantly Hungarian oak for the reds.